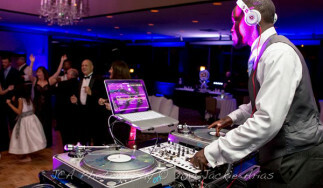 Are You Looking for a DJ karaoke service? What’s more fun than a DJ karaoke party right? The fun, the music, and not to mention the enjoyment of being with your friends and family members. 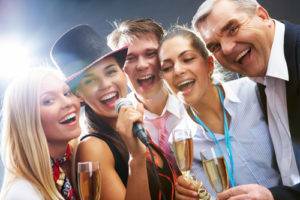 As your guests try their best at singing some of the latest and most popular songs you can imagine your party will be a blast! have to worry about is to invite your friends, family, and neighbors. Sean Garrity Events and Production has everything for your next karaoke party. Is it a birthday party or your family wedding anniversary? Just take care of catering the food because we can take care of everything else. We have custom lighting, photo booth rental and party entertainment in addition to the Karaoke entertainment. Tell us what type of music you would like us to play, in addition to your guest preferences. Our karaoke DJ will be selecting everyone’s songs or prepare a mixed song, so there’s a unique version for you and your friends to sing out loud. Also, we can organize a mystery karaoke song, so your guests don’t know what are they going to sing and make it even funnier to listen to at them. As mention before, we offer photo booths for rent so you and your guests can take lots of pictures and share them in a screen that we can also provide for your party.